Published by Georgi Michokov in Popular. 4 mins to read. And on the technical side, pins are survivors. The lifecycle of the average pin is way longer than of other social media posts. While the buzz behind a Facebook post can fizzle out in a couple of days, a Pinterest post can be repinned, again and again, passively bringing exposure to the brand. Considering this, let’s explore how some of the most active brands on the Pinterest use the platform. Away makes premium standard luggage – the ideal bag or suitcase. But the brand extends beyond the product. As you can probably tell from the name, Away is deeply associated with the lifestyle of the modern traveler. It’s appealing to see their products in use, touring around the world. Away captures this feeling of ownership and travel in their Pinterest boards. Pinterest is a visual medium so don’t forget the value of aesthetics. Away’s boards are color coordinated and curated to present stunning imagery of the globetrotting lifestyle. Whether picturing the minimalist luggage next to a colorful house in Cuba or in the marbled streets of Venice, you can count on them being beautiful and aspirational. Educational content is the bread and butter of Pinterest. Users appreciate bite-sized information in the form of how-to’s, infographics and video tutorials. Birchbox’s Pinterest strategy is built around this. The brand offers personalized beauty box subscriptions and uses the platform to educate people on how to best use their products. A recent highlight is their video tutorials for last-minute Halloween costume ideas using makeup. Short videos like those are perfect candidates for sharing, repinning and getting traffic to your store. One more brand with an impeccably curated Pinterest presence is Serena & Lily. 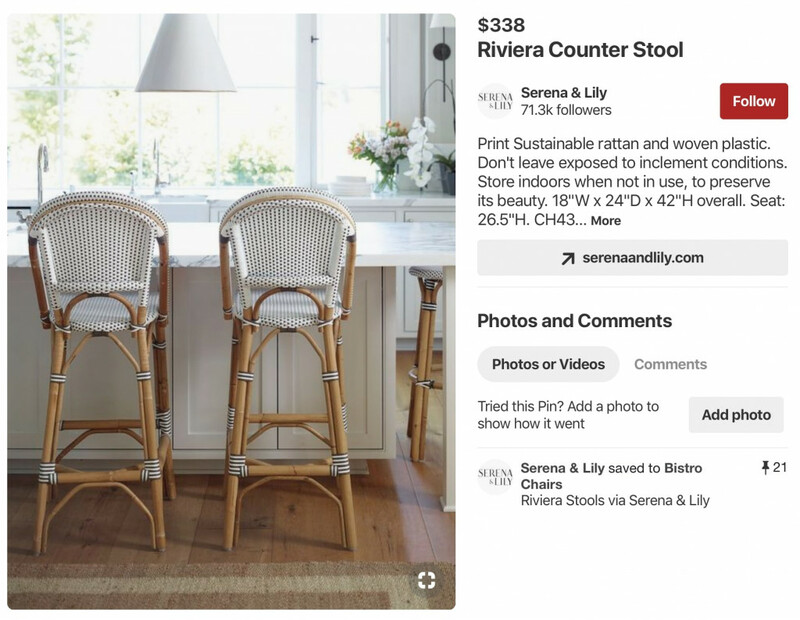 With idyllic boards that showcase their California inspired furniture and interior design, Serena & Lily inspires users to pin ideas for their own home. The brand’s boards can transport you to the ideal beach home with beautiful color coordinated photos. And while you’re browsing through this inspiring imagery you can buy a piece of it. Serena & Lily is making good use of the product pins, available on Pinterest, to make shopping easier. Pinterest lets you show extra information directly on a pin so you can present your products in the perfect setting. With product pins you can include real-time pricing, availability and a direct link to buy the product. Using these direct shopping pins Serena & Lily has created a stunning online catalog that works as an interactive link to their online store. West Elm is another furniture and design brand, but this time rooted in Brooklyn. They’re using all the Pinterest tricks we’ve mentioned so far – inspiring, educating and engaging their followers. They even have a recipe board that links to articles on their blog. It’s all about inspiring people. But one thing that stands out is West Elm’s “Spotted” board. That’s there the brand showcases their customer’s own style with photos of beautifully decorated homes that feature West Elm products. Gathered from different editorials and personal photos, these posts give wonderful examples of the lifestyle and aesthetics connected with the products and the brand. That’s the magic of user-generated content. It’s authentic and inspiring for customers, but doesn’t require much effort. It’s a wonderful way to engage with customers, making them feel a part of a community. 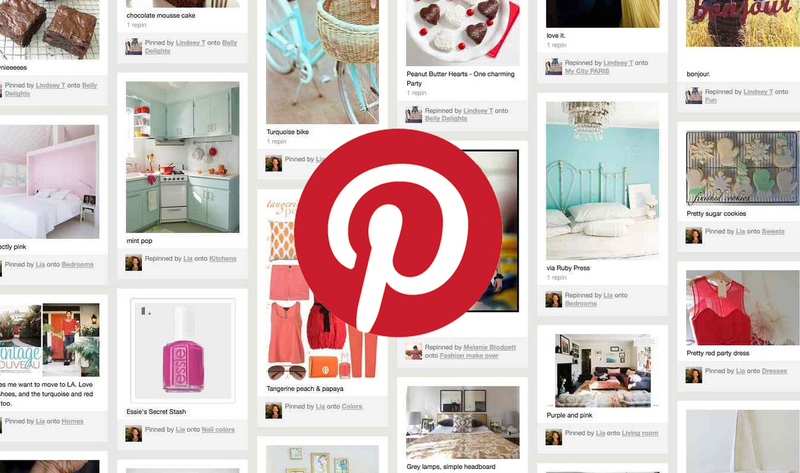 All these brands are great examples of how to use Pinterest for your brand’s success. It can be a great platform to show what your business and product are all about. Showcase the lifestyle, engage your audience, educate your customer with tips and tricks, inspire their daily lives. Don’t be afraid to use Pinterest features, such as product pins, to improve the experience and connect your posts with your store or website. And don’t forget, Pinterest is visual so it’s all about the aesthetic.